Traveling by air can be an anxiety-filled experience, what with long lines at the ticket counter, invasive security screenings, flight delays, and jitters over flying at all. But passengers at one airport in Canada are being offered a pleasant relief from those inevitable little stresses - by dogs whose very job is to do what dogs do best: make people happy. 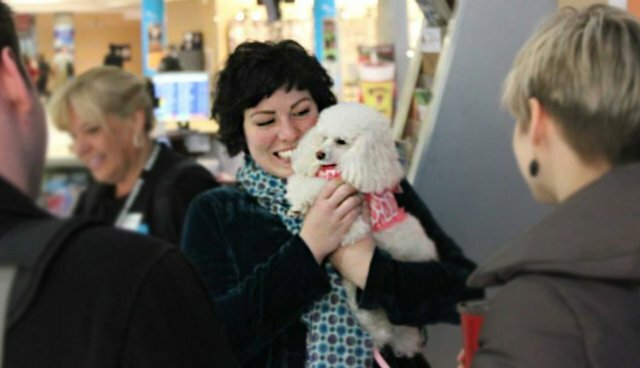 Edmonton International Airport recently teamed up with Pet Therapy Society of Northern Alberta to help ease travelers' anxieties by welcoming trained therapy animals into the terminal, becoming the first airport in the country to do so. After the idea first came to light earlier this year, volunteers have begun patrolling the airport with pups three times a week - and it's proven to be a hit with passengers. 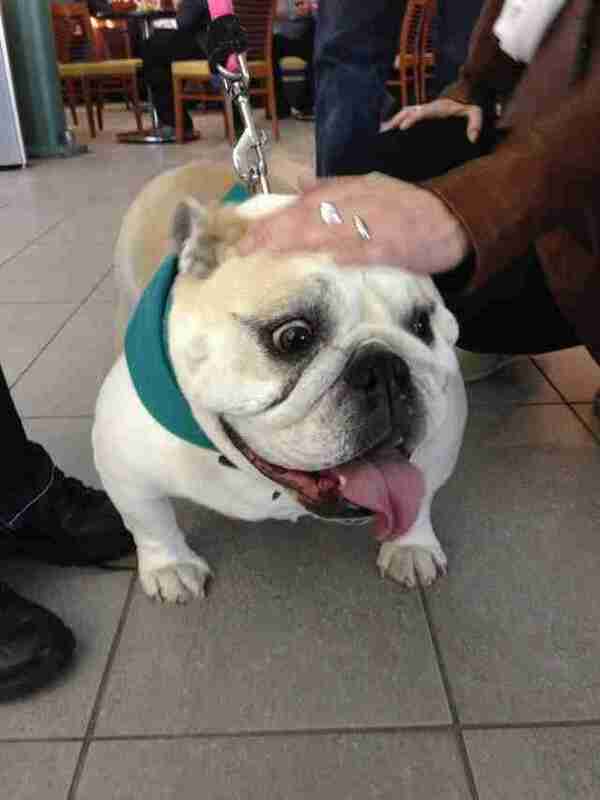 Canada's Global News recently spoke with weary traveler, Helene Guillemette, to get her thoughts after she had a moist meeting with one of the happy pups as she waited for her flight. "My spirits are up for sure. It just brings me happiness," says Guillemette. "And my face is cleaner because she's licked all the things off." Pet Therapy Society of Northern Alberta has more than 60 dogs, cats, and rabbits who can more frequently be found using their spirit-lifting skills with folks at hospitals and nursing homes. Still, the group is eager to expand their good work with more time at the airport and are currently seeking volunteers to help with the job.